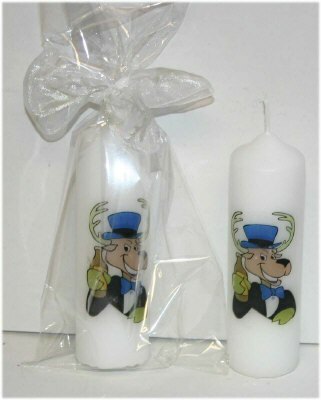 Cheerful stag with drink in hand (or hoof) candle, candles come in various sizes, in white. See drop down box for sizes and prizes, also this image can be used in our customized section. Price is for one single candle, gift wrapped with ribbon.